Matt Dane Baker, PA-C, D.H.Sc. 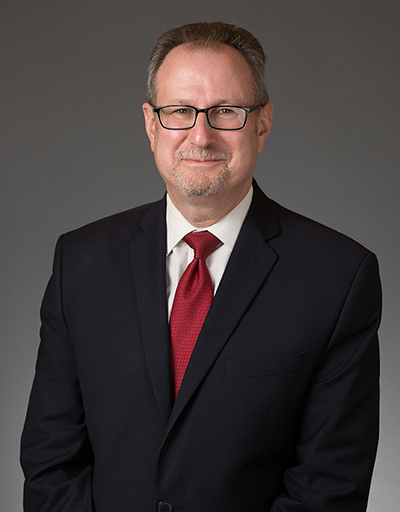 Dr. Matt Dane Baker serves as Provost and Dean of the Faculty at Thomas Jefferson University. In this role he is the Chief Academic Officer of the university responsible for oversight of approximately 630 full and part-time employees including: deans; faculty; staff and technicians; the Registrar’s Office; the Honors Program; Writing Across the Curriculum; Study Away/Abroad; the Academic Success Center; the Design Center Textile and Apparel Collections; the Arlen Spector Center for Public Service; the Paul J. Gutman Library; the Center for Teaching Innovation and Nexus Learning; and 50 academic programs-from bachelor’s to doctoral levels. Previously he was a college Executive Dean, school Dean, Program Director, and Professor. In his administrative roles he was responsible for working with faculty to develop and implement several new majors/programs such as Physician Assistant Studies, Health Sciences, Disaster Medicine and Management, Community and Trauma Counseling, Doctor of Occupational Therapy, and Athletic Training, along with creating several strategic affiliations and opening an additional location in New Jersey. Prior to full-time employment in higher education Dr. Baker worked in healthcare administration and clinical services. Dr. Baker has greater than 36 years of healthcare and higher education experience having held several positions in clinical, academic, administrative, and research settings; and 24 years of military service with the Army and Air Force National Guard having retired as a lieutenant colonel in the New Jersey Air National Guard at McGuire Air Force Base. He has presented extensively at many conferences, workshops, and universities. He has served on accreditation site visit teams for the Accreditation Review Commission on Education for the Physician Assistant and the Middle States Commission on Higher Education. His academic interests include pathophysiology, geriatrics, outcomes assessment, strategic planning, healthcare design, and healthcare leadership.